Everybody has undoubtedly heard the popular saying, 'Prevention is better than cure.' This phrase is applicable more than ever in dentistry because the longer dental problems go unaddressed, the treatments can become exponentially expensive — and painful. Many people put off seeing a dentist until an oral health problem becomes too agonizing to ignore, necessitating extensive and costly treatments. Luckily for you, modern dentistry has many solutions to make sure that today's minor irritation does not turn into tomorrow's major agony. Preventive dentistry can help arrest tooth decay or other diseases in the earlier stages. The goal is to keep your teeth as healthy as possible and maintain your natural teeth for life. Visiting Sterling Dental Clinic every six months for a check-up and cleaning can help prevent these problems from occurring in the first place. If you develop an issue with your teeth or gums, regular checkups ensure that our team can treat and also, in some cases, reverse your problems with conservative measures. The time and efforts you put into maintaining your oral health is an investment that will reap great rewards for your future health. 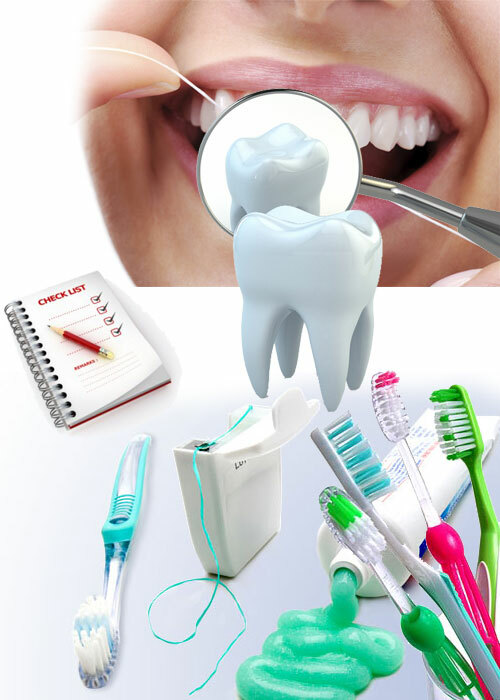 Scaling and Polishing: Scaling and Polishing are also known as dental cleaning. Dental cleanings involve removing disease-causing plaque and tartar (calculus) deposits that have built up on your teeth over time – especially in areas near the gum line that are hard to reach. Regular and professional scaling and polishing are vital to the health of your teeth. Pit and Fissure Sealants: Tooth decay occurs much faster in children than in adults. Sealants should be applied to a child’s teeth as soon as possible, before decay has had a chance to set in. These invisible plastic coatings fill the tiny grooves in the back teeth, so they do not become a breeding haven for bacteria. Decay will not start under a fissure sealant because the decay-causing organisms are deprived of the food and oxygen they need to flourish. The use of sealants substantially reduces the risk of tooth decay by keeping food and bacteria out of cavity prone areas. Fluoride Treatment: Treatment regimens with fluoride are developed for the prevention of dental caries. Your dentist can directly incorporate fluoride into your teeth's mineral structure, thereby making them decay-resistant and stronger. It can also reverse tiny cavities that are starting to form on your teeth. Fluoride is good for strengthening the teeth as well as providing essential minerals to any teeth that have been eroded by acid. Orthodontic Expansion: Growth or expansion appliances are used by nearly all dentists or orthodontists as they are often a better alternative to teeth extraction. The ideal time for expansion is while the maxillary canines are erupting. If we perform this procedure too early, it would most probably need to be repeated after these teeth erupt. Expansion is often a better alternative to teeth extraction. The procedures mentioned above can only help you if you visit Sterling Dental Clinic to take advantage of them. By regular visits to our clinic, you can ensure healthy oral care, preventing problems from arising in the first place. However, effective prevention begins at home and we cannot stress enough the importance of maintaining a good oral hygiene routine for you and your family. Even after your regular visits to our clinic, daily flossing and brushing your teeth will go a long way towards keeping dental diseases away.